One of the basic pursuits of life is the search for entertainment. 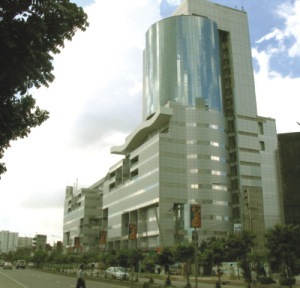 In Dhaka, where choices are limited, going to a shopping mall is an activity that gives a moderate amount of pleasure even though it may mean a substantial drain on the wallet. Bangladeshis rush to the plazas and the malls, looking for a respite from their daily mundane, hectic existence. But existing shopping centres offer little more than rows and rows of shops selling products from abroad. Some have food courts but this is hardly enough to satisfy people's thirst for enjoyment. Most of these 'modern plazas' lack the basic ingredients of a proper complex, be it for shopping or for entertainment. There has always been emptiness in this booming service industry. The inauguration of Bashundhara City, although at a time when most of the country was reeling under the floods, is nevertheless the talk of the town. Apart from the flashy title of being the 'biggest mall' in South Asia, it is a complex that is sure to dazzle its visitors.